On 10/11/18, I went out by Clinton Lake in Douglas County to check on my hives. 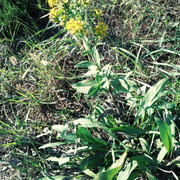 I found Stiff Goldenrod still blooming. Asters were in full bloom. 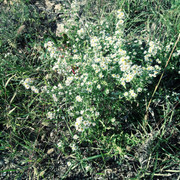 This is probably a Heath Aster. There were other asters blooming too with pale lavender flowers. We have 10 different species of Asters in the eastern part of Kansas. They are the last nectar source of the year for our honey bees.